Vanessa Bell was born in London in 1879. The eldest of four children and sister to renowned writer Virginia Woolf, she was encouraged from a young age to pursue her individual talents. In 1901 she began studying at the Royal Academy Schools, under the tutelage of John Singer Sargent, amongst others. 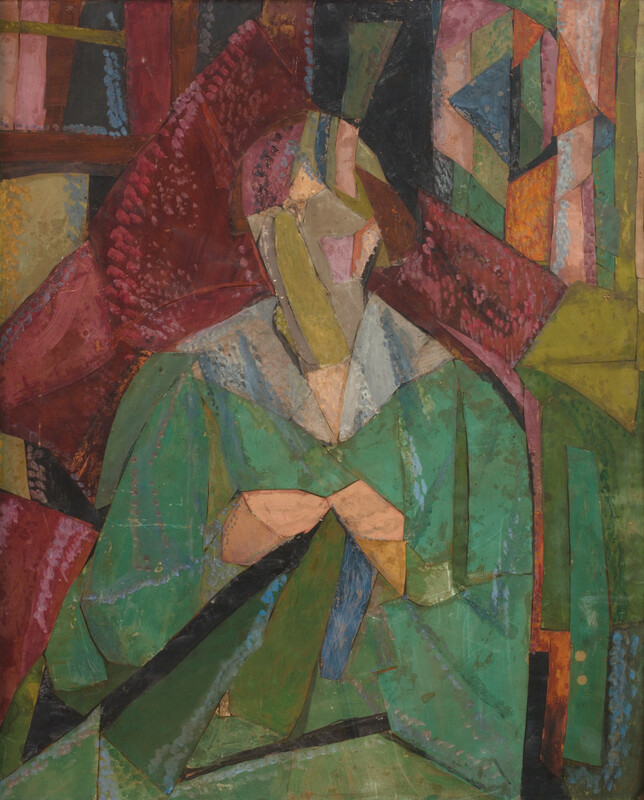 Following the death of her parents, Vanessa and her siblings moved from their family home to Bloomsbury, where regular meetings with other artists and intellectuals led to the formation of The Bloomsbury Group. She founded the exhibiting group, the Friday Club in 1906, and was also a member of the New English Art Club. In 1907, she married another Bloomsbury member Clive Bell, with whom she had two children. 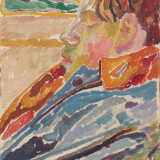 Despite this, she lived openly in a committed relationship with fellow artist Duncan Grant at their home, Charleston, in Sussex from 1916 onwards. 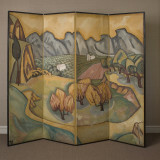 Bell exhibited her work in the influential Second Post-Impressionist Exhibition at the Grafton Galleries, London, a landmark show organised by Roger Fry including notable works contributed by Matisse and Picasso. Alongside Fry, Bell and Grant co-founded The Omega Workshop, an artists' co-operative for decorative arts that operated between 1913 and 1919. Bell had her first solo exhibition at the Omega Workshops in 1916, and another at London's Independent Gallery in 1922. She exhibited her work internationally in exhibitions in Paris, Zurich and Venice. Deeply affected by the death of her son Julian in the Spanish Civil War, the increasingly reclusive Bell worked quietly at Charleston until her death in 1961. 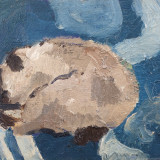 Her work has benefitted from a substantial re-evaluation in recent years, is held by numerous public collections, and was the subject of a major retrospective at Dulwich Picture Gallery in 2017.